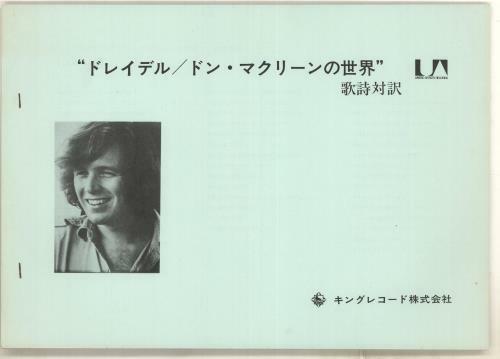 DON MCLEAN Don McLean (1972 Japanese promotional sample 10-track LP with custom black on white labels, housed in a fully textured picture sleeve with Japanese insert, English lyric inner & a rare promotional-only Japanese/lyric booklet. The cover [VG+] has heavy foxing on the back, a natural occurence with Japanese paper goods over time, which creeps in around the edges of the front whilst the vinyl appears Near Mint SR-814). 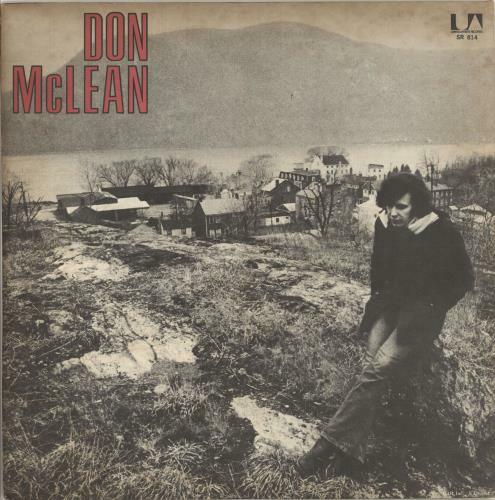 or visit our Don McLean image gallery.